A++ experience, from initial contact to test driving and making the purchase and discussing financing/warranty options with both Richard Lovato & Melven Louis - huge kudos because we had some last minute snafus making it happen with bank deadlines, AND I'd just relocated to N.M. so my residency paperwork was "a bit" out of order. But not to worry, both Melven & Richard way above and beyond to make it happen, both on the day of and during follow ups. 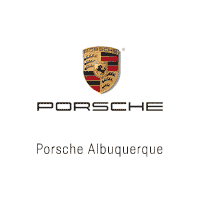 Exceptional service and consideration from everyone at Porsche of Albuquerque. Beautiful sports cars n all just that right now We got all wheel ride. Which I prefer. Just go there and have fun trying them out. Good Luck unless you buy it have extra fun. I called about a used car that sounded perfect online. The salesperson was very up front and told me it had a smoke smell from past cigarette use. Since I'd planned to buy it and ship out of state without seeing the vehicle, I was very appreciative of his honesty. Fantastic experience buying my new Porsche. Many thanks to the sales manager Dave Orso, Richard Lovato my brand ambassador, and Melven Louis the financial manager. All of them were great to work with and I really appreciate all your help guys.